6 years ago in the month of October, my husband (then boyfriend, but we knew engagement was coming) and I decided it was time for me to quit my job at Wal-Mart. I think it was one if the best decisions I had ever made. It was just a terrible work environment as I am sure you have probably heard. I was miserable. I dreaded going in every day working for people who didn’t value their employees. Favoritism was all over the place. I had enough and decided to take charge. Plus, I knew I wasn’t going to be a Wal-Mart lifer (nothing wrong with that if you’re happy there). In the last 6 years, I haven’t had a job that I went to consecutively. It was mostly side jobs like working in the laundry room of the hotel my mom worked at when they needed extra help or being paid to clean someone’s house while they were moving out. Sort of spur of the moment jobs you could say, nothing permanent. Being a stay at home parent was always something we knew we wanted for our family. It was always something I had dreamed about ever since I can remember. I am a home body, so staying home did not (and does not) bother me 98% of the time. 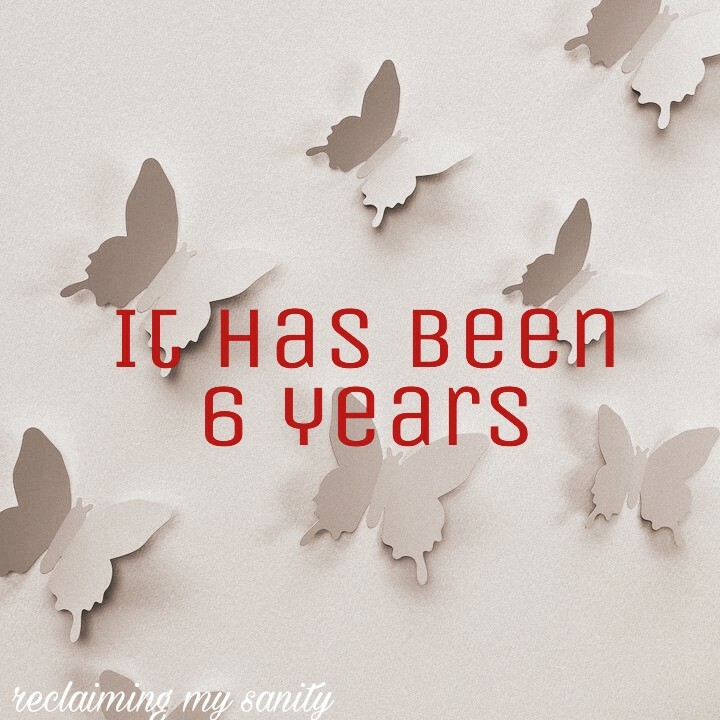 For the last 6 years, my home, husband, and children have been my entire life. Everything I do has been for them. I often have to put my wants and needs last to make sure everyone and everything else is taken care of. I know I contribute a lot to the daily demands of running a household for 24 hours a day, but is it enough? Some people think I have it easy and can sleep all day long. Which is not the case, but they can believe what they want. You bet when I have a moment to be lazy I am going to take it. People get paid to take breaks in the work field, why should stay at home parents be less deserving? Moving on before I get into another rant about belittling stay at home parents. This past week I decided to apply for a part time job. The few places I applied at, called me back the same day wanting me to come in. Then the guilt started in. How could I miss all the family time for a job I probably won’t even like? What if I miss Poppy’s first steps? When will I see my husband? Will I be more stressed? Will these places even be flexible with my schedule as my husband’s job is priority, as well as my kids? I am not going to lie. I talked myself out of going to 2 interviews because of all this doubt. The thing is though, like many other people, we are in debt. We manage fine on one income, but it never fails that when we try to get ahead, something sets us back again. We are nearing 30 years of age. We have learned a lot about finances and credit. We are trying to change. It isn’t always easy telling people no when they ask you to go do something because you can’t justify the spending. We want to be better off financially. This lead me to finally going to an interview. I got the job on the spot. Am I excited? Honestly, no. I don’t want to miss out on things here, on life happening without me, but I know it is going to help us get where we want to be. I also know it doesn’t have to be permanent if I don’t want to. It is a seasonal position with the potential to stay on. So, I am going to give it a whirl. I have never been a working mom before. I am nervous about it, but I know I can do what I set my mind to. I am stubborn and determined that way. Is Social Media Destroying Relationships? Enjoyed this very much. I too worked in the home (stay at home Moms work 24\7 365 days a year) until our boys were in school all day. When I went to work full time I was there to get the kids on the bus and Dad was home from work before the bus dropped them off after school. It wasn’t easy being a one income family but we managed. The important thing was that we raised our children and time with family is more valuable than that extra paycheck. My thoughts exactly! I even told my husband, there is no job that can pay me enough to being away from my babies. Then I think about how he has to work everyday and how that must feel. So I feel a bit of guilt both ways. Guilt is an unfortunate part of life because you never know if what you’re doing is the right thing at that time. Listen to you gut and keep talking to each other. What you and your husband are doing is becoming a rarity. Putting family first.